Professor Ghulam-Sarwar Yousof used Partridge Publishing Singapore, an imprint of Author Solutions LLC, a Penguin Random House Company, to publish two works on culture/theatre and three creative literary works in 2014 alone. I asked him about his play The Trial of Hang Tuah the Great, and his short story collection Tok Dalang and Stories of Other Malaysians. 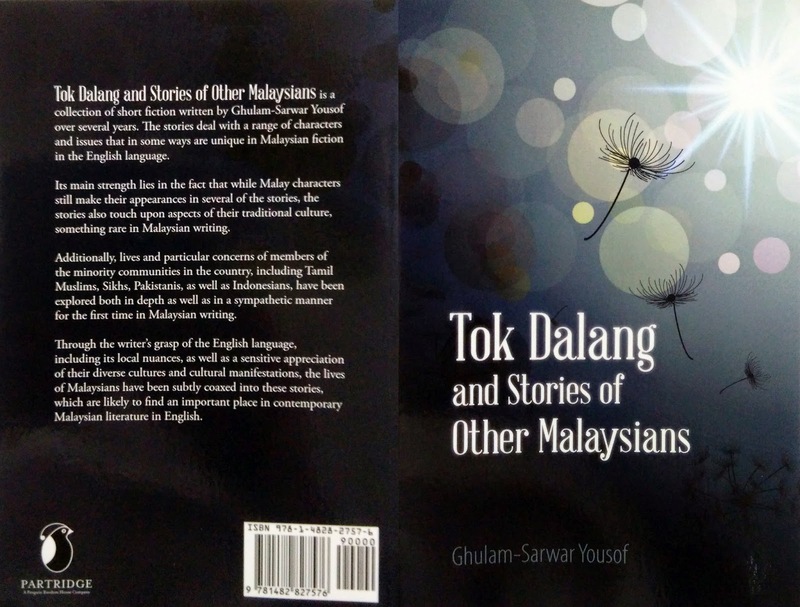 Both express his identity, and his concerns, as a Malaysian writer who writes in English, and both are must reads for fans and students of Southeast Asian literature. These works, and all Professor Ghulam-Sawar Yousof’s other titles, are available from Amazon, and are listed too on the Partridge website. Bookmate is a subscription based social e-reading service with offices in London, Moscow, and Singapore. With more than 1.5 million active users, and over 500,000 titles in nine languages, Bookmate brings together readers, authors, and publishers. Its social reading service is available across all mobile, tablet, and online platforms. The service has just announced the expansion of its English language eBook selection following a surge of deals with leading eBook publishers in the UK and the USA. Bookmate now offers more than 200,000 English language titles. Authors represented include Anthony Burgess, Alan Bennett, Mary Beard, David Peace, and C.S. Lewis. Bookmate is an open platform connecting publishers and readers directly. This means that authors listed on Bookmate can discover who is reading their books and access analytics to aid their own promotion and marketing efforts – authors in Asia take note!